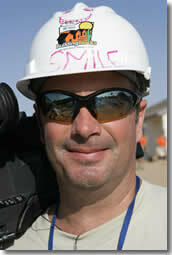 Breeze Productions is headed by Mel Levy, an industry veteran with over 20 years of knowledge and expertise. He is at his best when he combines the art and the new technologies of the video world. He brings exceptional creativity to his shoots, edits, and general project management. Mel has created, shot, and edited award-wining productions, constantly introducing the newest technologies and equipment to the process. Heather McCann has over 20 years of multi-faceted media industry experience. She has produced major multi-media events, corporate meetings, visual corporate communications and large tradeshows. Because of her vast hands-on industry background, Heather brings unique insight to every project – coordinating each detail with precision, ensuring continuity throughout the shoot and edit process, and making sure that no detail is overlooked. Heather has served as a freelance video producer for the past 6 years, and started out as a client of Breeze Productions. She had so much fun that she decided to stick around! Heather is part of the creative process with writing and production, and she is the Assistant Editor at Breeze Productions. 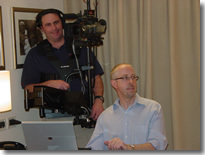 You can bring in your own producer, or Breeze Productions can furnish those services. 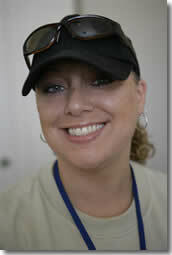 Heather can handle the coordination of all the details that go into producing a video, large or small. She specializes in the management and coordination of multiple camera crews across the globe and weaving a story out of your raw footage.